C.R. 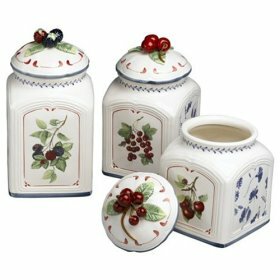 Gibson is known for their beautiful journals and recipe boxes. The designs are normally part of a collection so you can coordinate and enjoy the satisfaction of your cards matching the recipe box. While the box is actually cardboard, it is covered in a wonderful design. The box only appeared with one small packet of cards and so far I haven't been able to order additional cards, which I most desperately need since I'm writing out my entire recipe collection on new cards. 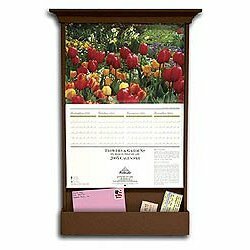 I had to order the recipe folder, just to get more cards, so if anyone out there could keep the cards in stock, that would be most wonderful. Some of the recipes completed include: Poached Pears, Masala Chai, Spiced Hot Chocolate, Wild Aphrodite Rice, Thyme Steaks, Plum Pineapple Chicken, Spiced Carrots, Brownies and Strawberry Crepes. 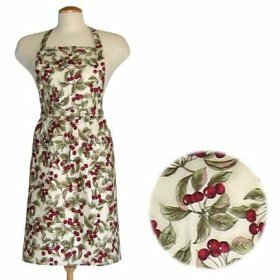 There is also an adorable Cherry Recipe Card Holder that seems to go with this set, ASIN: B0007UX02I. I'm looking forward to writing out the rest of my recipes if I can find the refills in stock. 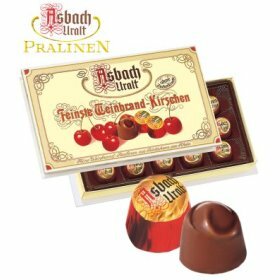 The cards also have cherries and are the same color as the box on the top, with a delicate caramel background. The backs of the cards are white, but also lined. 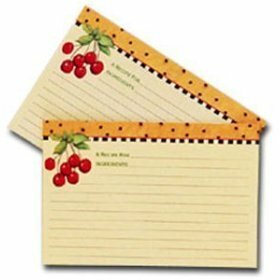 If you have longer recipes, you can write them on two cards and use the recipe folder. The box is nice for recipes that will fit on one card. It would be more helpful if they separated the Soups & Salads and the Dressings and Gravies. I'd prefer a separate section for Breads and there isn't a "Drinks" section. I put those in before the appetizers as it seemed appropriate. Well, you can't have everything and this is an absolutely adorable recipe box. Functional and playful with practical appeal. I have also been putting pictures of people who shared their recipes with me on the back of the cards. In this way I feel like they are cooking with me in spirit. I also put friends pictures on some of the recipes they like, especially on the cookie recipes because then I can remember who likes what and how they like it and to burn some cookies for some people and to add ingredients like cinnamon to some cookies and nutmeg to others. to the comfort of a recipe box. Another idea I thought of recently is to buy a 4 X 6 picture album and make copies of favorite recipes so when you travel you have all your favorites with you. Like when relatives want you to make a delicious lemon cheesecake, you have the recipe! These are the basics needed to make most of the recipes in Seasoned with Love. Brand names of products are the ones used in recipe testing and were selected for their superior qualities. Fresh ingredients should be purchased as needed. 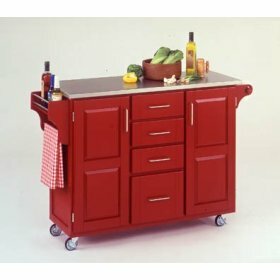 If you start accumulating ingredients each time you need them, your kitchen will soon be well stocked. Item location is noted where applicable. See the Sources or Detailed Catalog list if you have trouble finding specifics at your local grocery store. Thinking of Dean & Deluca gourmet items can send any gourmet's heart into a flutter. The breathless selections inspire dreams of savory and sweet culinary intoxication. Each spice and herb in their collection has impressed me with its fine quality and careful selection. The signature tins may be slightly difficult to open at times (and a top that was easier to remove would be brilliant), but the contents are pure, fine and especially delicious. The tins help to retain the quality of the herbs and spices, unlike glass containers which allow in too much light. The tight fitting lids do actually help to retain the freshness of the dried ingredients. 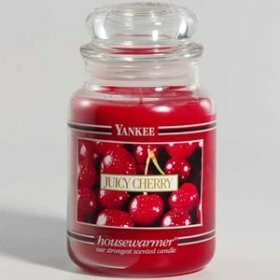 If you want quality, you may have to spend a few seconds pulling off the lid carefully so as not to empty out the contents by accident. To make these tins most useful, you can keep empty them into a spice bottle and keep them in a nice spice carousel. In that way, the spices retain the freshness, while also becoming instantly available for your cooking adventures. The Herbes de Provence blend is one of the best I've found and is a fast favorite in my kitchen. With this herb blend, you can make the most delicious roasts, soups, chicken dishes, steaks with gourmet sauces, baked fish (especially in foil or in a homemade puff pastry) and anything else you can imagine would go well with a hint of lavender and a depth of fennel, thyme and rosemary. Sprinkle this on steaks when you are frying them and then add the Dean and Deluca Basil and some Emeril's Original Essence for a gourmet experience. I finish the steaks with a sauce of butter, freshly ground Tellicherry peppercorns and Cabernet Sauvignon. I've used this herbal blend in so many dishes, I've lost track. 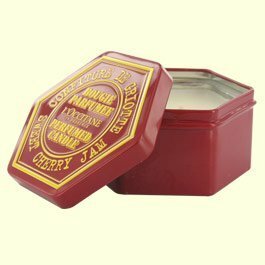 All I know is that I use it so much, I keep almost finishing the tin before I remember to order it again. Add this to wintery homemade soups to make them healing and nourishing. Sprinkle some on fish before you wrap it up in puff pastry. Bake at 375 until the pastry has browned. What you will discover after serving this is a delicately scented dish with warm comforting appeal. Ahh..Dean & Deluca...the store of my culinary fantasies and dreams. I love everything I've ever tried and can't wait to experience all they have to offer over the years. Buying any of the spice/herb products as gifts will make any cook feel a little heady. The Basil and Star Anise are also favorites. When you buy a lot of spices over the years, you come to realize that some are especially flavorful and others have lost their spark. These products retain their magical qualities and I think the "hard to open tins people complain about" are the secret. I will happily struggle to open these for a few seconds. The results in my cooking are magical. If you love buying roast beef you can layer slices on fresh French bread, then dip the sandwiches in a delicious flavored beef bouillon. The flavor can be greatly enhanced by using this stock base. A dipping sauce can be made with ¼ cup water, 2 bay leaves, ¼ teaspoon beef base, 1 teaspoon Italian tomato paste, ½ teaspoon dried parsley, ¼ teaspoon dried minced onion and 1/8 teaspoon dried thyme. Heat in a saucepan and then simmer for a few minutes until slightly reduced and it tastes rich and delicious. 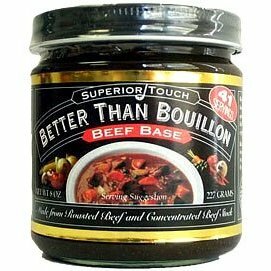 Better Than Bouillon is a stock paste or more like a beef base than a bouillon cube. Dry bouillon cubes are famous for being overly salty and that is why beef base is a much healthier, not to mention, tasty alternative. This beef base also contains garlic, onion and spices. One teaspoon of base blended into one cup of hot water makes one cup of beef stock. To make gravy, I use two tablespoons butter and two tablespoons flour plus the stock and a sprinkling of freshly ground pepper and various dried herbs and spices. Melt the butter in a small saucepan, whisk in the flour and then the stock. If you love buying rotisserie chicken you can layer slices of chicken on fresh bread, then dip the sandwiches in a delicious homemade chicken gravy. The flavor of the gravy can be greatly enhanced by using this stock base. This chicken base also contains turmeric and soy protein. 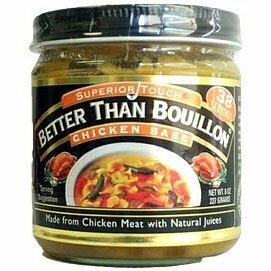 Better Than Bouillon is a stock paste or more like a chicken base than a bouillon cube. Dry bouillon cubes are famous for being overly salty and that is why chicken base is a much healthier, not to mention, tasty alternative. One teaspoon of bouillon blended into one cup of hot water makes one cup of chicken stock. I use two tablespoons butter and two tablespoons flour plus the stock and a sprinkling of poultry seasoning, freshly ground pepper and paprika. Melt the butter in a small saucepan, whisk in the flour and then the stock. The stock base is also perfect when you are making soups and one to two tablespoons is enough to flavor an entire pot of stock. You can also put the leftover rotisserie chicken in a stockpot, cover with water and simmer with vegetables and herbs/spices to make a delicious homemade stock. I love enhancing the stock with Better Than Bouillon and the possibilities are endless after you learn to make chicken stock and then use this product to enhance the flavor. Dean & Deluca's Basil can add delicious aromas to your crockpot cooking adventures. It is also perfect to add to a pot of steaming vegetables or to sprinkle on fish wrapped in puff pastry. 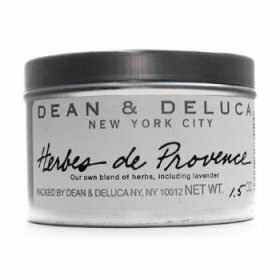 The minute you open a tin of the Dean & Deluca Basil, you can sense the high-quality of the product and the aroma swirls into the air making you eager to try many of their herb and spice products. I especially love using this when making a homemade stock in my crockpot/slow cooker. It enhances soups, vegetables and just about anything you sprinkle it on that is savory. This can also be used in salad dressings and is especially delicious used over pasta, if you ever run out of fresh basil in the winter. If you love to flavor foods with garlic, why not sprinkle on a product that has salt, parsley and garlic? This is useful for any food that will be enhanced with garlic. Sprinkle on winter roasts, baked chicken, fish, baked potatoes, pasta, rice, vegetables, buttered breads or even add this to salad dressings. This parsley is especially green and tastes especially fresh and flavorful. Most dried parsley will lose its green color, but this parsley is vibrant green as if you just chopped fresh parsley. I honestly can't believe how good this is compared to any other dried parsley I've tried. If you are always running out of fresh parsley just when you need it most, give this a try. How did they do this? It must be some top secret herb drying process. 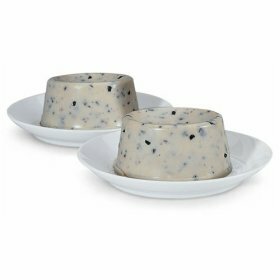 If you are looking for a way to make your dishes a little more gourmet, this truffle butter is an excellent way to add truffle flavor to meats or pasta. It is also an excellent way to finish a risotto. Stir this into sauces, into rice, into just about anything you would like to flavor with truffles. I think truffles work especially well in any dish where you would normally use garlic or onions. With the price of truffles, this is an easy way to experience the flavor and you can keep this in the freezer for truffle flavor all year round. Emeril's Original Essence is a combination of salt, paprika, pepper, granulated garlic, spices and onion powder. This mixture is perfect for chicken, fish, meats and even veggies. You can use it to enhance the flavor of anything savory and as Emeril says: "I use it on everything but ice cream." I can truly see why he does because this is especially convenient for anyone who loves using garlic and paprika. It also saves you lots of time not having to reach for the salt and pepper. You can skip lots of steps like crushing garlic cloves, although you may want to add even more garlic flavor with fresh garlic. Lately I've been using this essence along with parsley flakes, basil and a mixture from Dean & Deluca called: Herbes de Provence. I sprinkle this over steaks when I fry them in olive oil and then finish the dish with a tablespoon of butter and a ¼ cup Cabernet Sauvignon to make a delicious sauce. Adding in a little fresh or dried basil is optional, but delicious. Emeril's Original Essence frees up some of your time in the kitchen, which allows for more creativity and uniqueness in your cooking. Sprinkle a little of this essence on all your savory dishes and see what happens. The new depth of flavors will amaze you and tantalize your taste buds! · All-purpose stabilizer from Sweet Celebrations Inc.
Light Muscovado is a caramel light brown sugar with the flavors of earth and sky somehow infused into dreamy sweet perfection. All other light brown sugars can't compare to this quality and if you want the best light brown sugar for baking, I can't imagine anything could be more delicious. 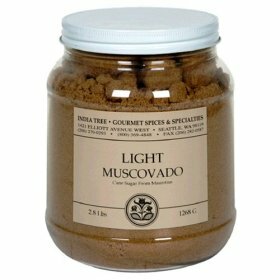 Light Muscovado is slightly moist, has a medium molasses content and is delicious in gingerbread, coffee cake, cookies and chocolate cake. It is delicious with a Farina porridge in the morning or can be stirred into tea. I first found this sugar while working at Larry's Market in Seattle. 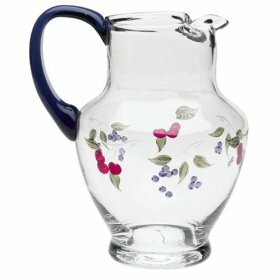 The India Tree company is also located in Seattle and has some amazing sugar products for baking and decorating. Also recommended: Dark Muscovado is also deeply delicious and once you use the Muscovado sugars, there is no escape. You will crave the rich flavors and high molasses content of this delicious sugar from Mauritius. · Dark muscovado natural cane sugar www.chefshop.com. · All-purpose flour for biscuits. or a brand you trust. · Edible Flowers Don't use pesticides on the flowers you grow yourself. · Fresh grown herbs: parsley, thyme, rosemary, tarragon, basil and sage.